Monitor Lighting are a premier supplier of event lighting in the south of England. Perfectly placed to deliver traditional and contemporary dancefloors, lanterns and uplighters to your event anywhere in Berkshire for weddings to parties and beyond, Monitor Lighting are a contractor of quality equipment and delivery to some of the largest venues in the region. You can enjoy the delights of this top-class service in the comfort of your own home or at your function or party venue. Our operatives are experienced, diligent and personable wherever the contract is located. A star cloth is a versatile solution when an area or room in a venue needs to be hidden or sectioned off. Our options include white light on white background and traditional white on black. 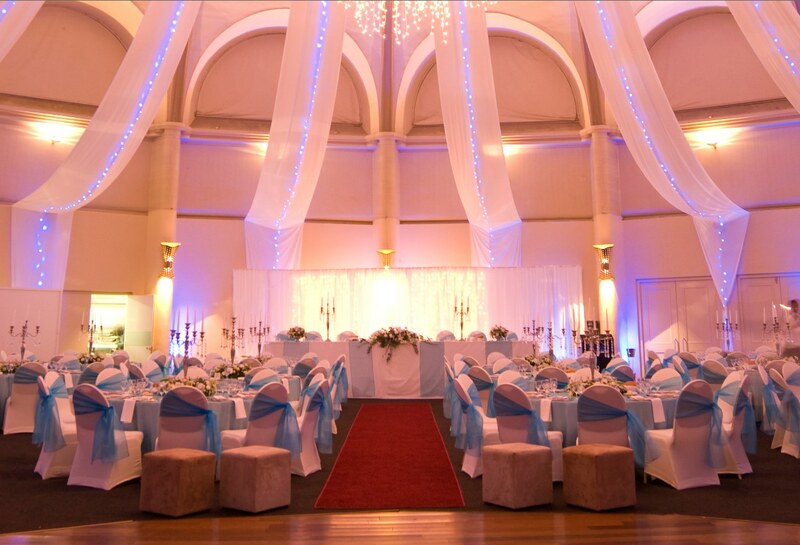 The entry level cloth we offer is 6mx3m which will drastically alter the feel of an area of your function. Uplighters allow you to conjour stunning effects to highlight a focal point of your gathering adding or emphasising dimension. Gently add colour to areas small or large tieing up a colour scheme or perhaps change a mood in certain areas of your venue. Our energy efficient LED lights can be hidden away since they produce minimal amounts of heat or left in full view to be used as a feature. However you imagine putting them to work, uplighters are a superb option to add a plethora of colours at your party. The transformative capacity of Monitor Lighting’s beautiful lanterns should never be underestimated. Globes of warming light with a lovely mystique, you might use our lanterns to give the impression of depth by hanging them in groups of varying size. Alternatively, why not follow tradition and light a path with a comforting glow? Along with our contemporary lighting options, Monitor Lighting continue to realise the potential of more traditional offerings which have given so much over the years. Chess board and single tone dancefloors are at the centre of many of the popular venues we service in Berkshire. With sizes available to fill a living room or the majestic ballroom of a huge venue, we are always happy to install stunning dancefloors to suit the requirements of your event and venue. Cool, chic, funky and all out fun, our coloured LED dancefloors offer a great way to add a futuristic angle to your event. Alternatively, allow us to program the floor to evoke the retro, 70’s cool of Studio 54 as you bring back disco! Many venue and event organisers fail to look up when arranging a function and lose an opportunity to include a delightful effect to the night. A fairy light canopy is a great solution to add atmosphere at your function. From a practical point of view they can be used to block out unsightly or dull ceiling hung aircon units or to brighten up dark expanses. Put an ethereal shine in your ceiling and raise the roof! Delivering for Berkshire’s lighting requirements, Monitor Lighting are founded on a professional yet personalised service, matching technical prowess to extensive experience. During our time, Monitor Lighting have worked at venues throughout Berkshire repeatedly. Marry your vision with our technical capacity, Monitor Lighting are your perfect lighting partner. Click here to start the process of lighting your event to perfection.